Updated Wednesday September 5, 2018 by Cory Thomas. UPDATE - ONLINE REGISTRATION is NOW OPEN on our website! Once again Melrose Little League will be offering FREE Fall Baseball for our baseball players! Fall Ball will begin on Tuesday, September 11th & Thursday, September 13th at Lewis Monk Field. There will be baseball scrimmages on Saturday mornings at Lewis Monk as well. 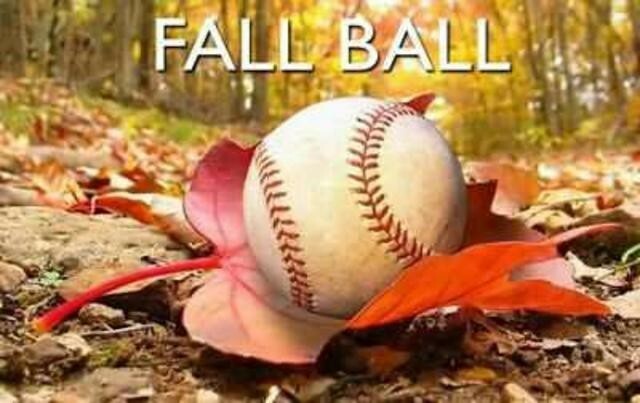 The Fall Ball program will run for seven weeks and end on Saturday, October 27th. For players league age 6-9 years old, there will be skills & practice on Tuesdays at Lewis Monk from 5:30 p.m. to 7:30 p.m. (or dusk) and scrimmage games on Saturdays at Lewis Monk from 8:30 a.m. to 10:30 a.m. Evening weeknight start times will start earlier as the fall progresses. For players league age 10-12 years old, there will be skills & practice on Thursdays at Lewis Monk from 5:30 p.m. to 7:30 p.m. (or dusk) and scrimmage games on Saturdays at Lewis Monk from 10:30 a.m. to 12:30 p.m. Evening weeknight start times will start earlier as the fall progresses. While we do have some volunteers for Fall Ball, we are still in need of additional volunteers to help run this program for both age groups. If you would like to volunteer please respond to this e-mail. Volunteering for Fall Ball is a great idea for potential coaches in 2019 or current coaches that will be moving up from one level of play to another in Spring 2019.